This Duplex had a newly remolded interior. Each until includes a stove, refrigerator and dishwasher. The perfect investment opportunity! The Duplex sit on 2 lots and even has alley access. 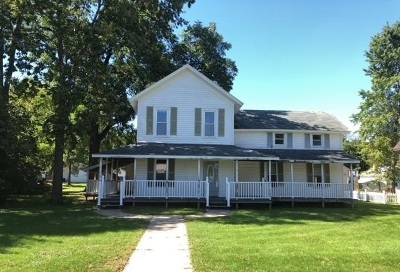 The property is located in the heart of Sparta. Within walking distance to all amenities. Other half of duplex address is 214 L St. This is a Fannie Mae property.